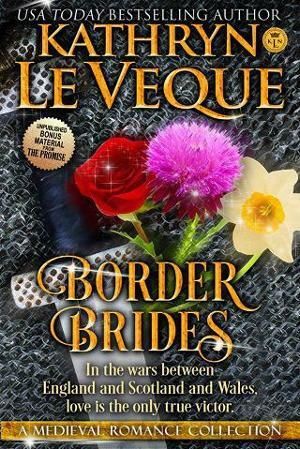 Welcome to the Best of Medieval Romance from the library of Kathryn Le Veque – where brides from both sides of the England/Scotland border are more than a match for their warrior husbands. Plus, get a sneak-peak at ALL NEW material from the coming 2019 new release, THE PROMISE! The borders of England and Scotland, and England and Wales, are wild places full of magic, struggle, and conflict. The passion of the borders is reflected in the passion of their people, where strong men and women from both unite with power, passion, and ultimately romance. The Lion of the North – An English knight must marry his dead brother’s wife… and forge a new destiny. Guardian of Darkness – A persecuted English knight and a Scottish hostage find love on the border. The Warrior Poet – Two warring families unite in this Medieval Romeo-and-Juliet saga. The Savage Curtain – A conquering English knight and his Scottish captive find romance in this epic story. The Questing – An English Knight and the widow of a warrior killed at the Battle of Falkirk make a journey to find the dead man’s body and find love along the way.